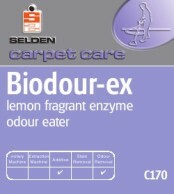 Disinfects and kill germs on most hard surfaces, eradicates malodours at source. Keeps drains and toilets clean and sweet smelling. A powerful Industrial strength bleach effective against a wide range of pathogenic organisms. 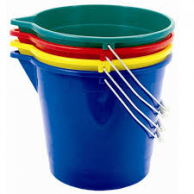 Drains, floors, lavatories and for general disinfecting and cleaning. Directions For general disinfecting: use 1 part to 80 parts water. 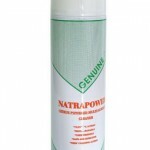 Use undiluted for toilets and drains. Bleach solution should be used with care and stored safely. 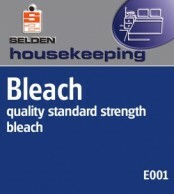 Bleach can cause damage to carpets, fabrics, plastic, lino floor coverings and many other common materials. N.B. Do not mix with other cleaners. Keep separate from acids. Do not use on metals surfaces such as stainless steel, chrome, etc 5 Litres If you have any queries then please contact us. Liquidator contains powerful surfactants, emulsifiers, solublizing agents and an effective bactericide which rapidly breaks down and dissolves all natural forms of grease, fats and protein deposits forming an emulsion that can be simply rinsed away with water. 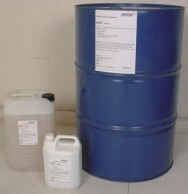 Areas of use Liquidator is ideally suited for speedy removal of fat, grease protein deposits or even where animal or vegetable fats are undesirable or create a health hazard such as in food factories, food preparation areas, meat markets, abattoirs, mortuaries, dairies, bakeries and cheese and butter plants. Liquidator is suitable for the treatment and prevention of grease or fat build-ups in sinks, traps and drains and is totally safe to use on surfaces not effected by water e.g. concrete, brickwork, metal, paintwork, plastic, vinyl, ceramics, formica, marble and wood. Benefits Liquidator is effective against gram positive and gram negative bacteria, is glycol ether free, non toxic, non flammable and fully biodegradable. Liquidator is concentrated and will remain effective even at dilution rates of up to 80:1. Liquidator is recommended for heavy deposits of grease, fat, blood or even carbon at a dilution rate of 20:1. Liquidator is suitable for spraying, mopping or sponge cleaning operations but can be used as a dip tank additive to soak away grease etc.